Lacey & Pat met at a restaurant. Lacey was Pat's waitress one night, a few weeks later he returned to the restaurant for "dinner", but really to see Lacey, and the rest is history. On a spectacular day in late June they tied the knot before family and friends. There was an abundance of laughter, dancing, smiling, and sunshine. Congratulations Lacey & Pat! Enjoy this new chapter in your love story! The wonderful team of vendors for the day included: Amazing Cakes, Elegant Invites, Illusions Salon, Sensational Sounds, Flowers Galore, the Bridal and Gift Boutique, David's Bridal, and New Seabury Country Club event coordinator Wilma Lopez. And last but not least, a huge thank you to the fabulous Allegra Anderson for being my second photographer for the day! 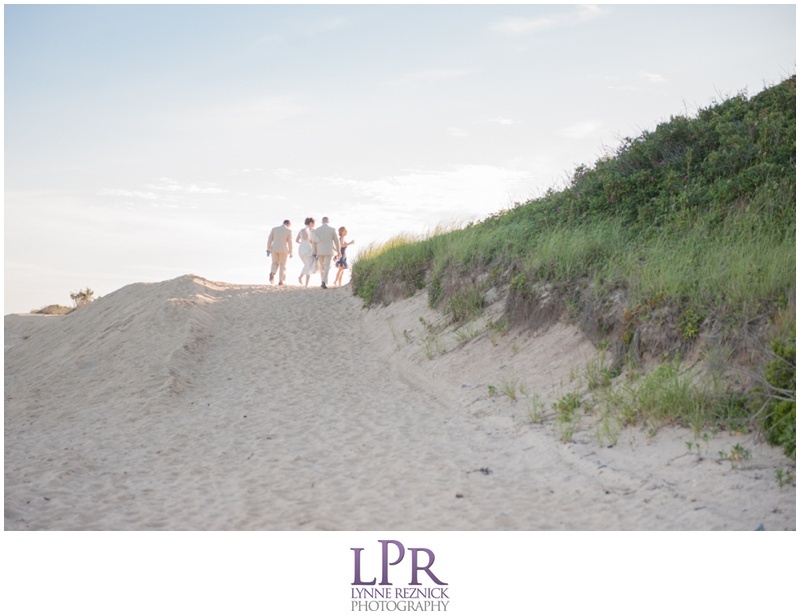 Allegra captured the individual groom and groomsmen group shots below, as well as the lovely B+W of Lacey with her Dad peeking around the corner before the ceremony and Lacey & Pat walking away on the golf course. And I love her portrait of the bridesmaid in profile!